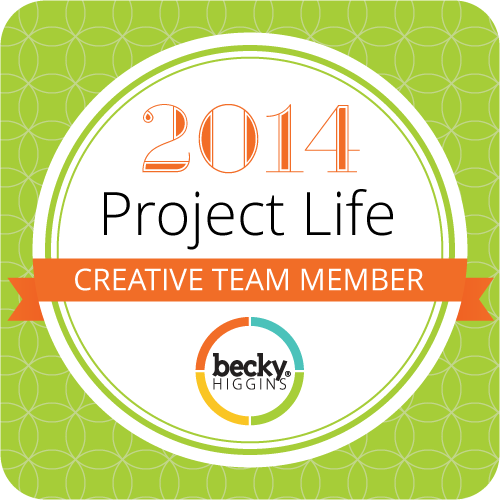 Special Birthday – It Works For Bobbi! Published on January 8, 2010 August 9, 2016 by Bobbi-Jo G.
1. Her sparkling big bright blue eyes! She is the only one of us who actually HAS blue eyes, and those eyes can charm the skin off a cobra! She is beautiful, inside and out. 2. Her sense of style. It’s all her own. I love that she loves wearing dresses, and wanting her hair done – just so. I love that she feels confident enough to put together her own clothing combinations and WORK THEM. I love that about her. 3. Her imagination and creativity (okay, that’s two but they work together – trust me). She loves to play with toys, but she doesn’t just play -she comes up with elaborate stories behind each one of them, then draws maps of their homes, cuts out friends for them out of paper, or designs environments for them to play in. This is a gift. I hope she never gets too ‘old’ to imagine. 5. Her desire to serve. She loves to do things for others – just to see them smile. I love her drawings and notes she makes for me regularly, and I love how she is often thinking of her friends and teachers and how to make them happy. She really loves others and I love that about her! 6. Her faith. When it comes to spiritual matters she knows what she knows, and what she doesn’t know, she has faith in. I need to be more like that. She’s a happier person because of it. 7. Her confidence. This is another trait I’m sure she has inherited from her father’s side, and it’s something I both admire and love about her. She has the confidence to give a talk in church, to perform in a school talent show, and to speak her mind to her mom and dad. It’s a good trait to have and I hope she doesn’t lose it. 8. Her. I just love her. I love the quirky little pieces that combine so seamlessly to make up this wonderful creature that is B! She is unique, she is special, she is beautiful – she is B! ahhh yay for B!!! she IS beautiful inside and out and I'm loving that last invite. too bad we don't live closer….sigh. enjoy your big day! I can't believe she is 8 already! Happy Birthday Brynae! Wow, its seems like yesterday that T was turing 8! Congrats to B on making such an important decision. Can't wait for pictures! Where DOES the time fly?! HAppy Birthday B!! And I know your baptism day will surely be one remembered. I get goosebumps just thinking about how wonderful that day will be for you. That's so exciting!! 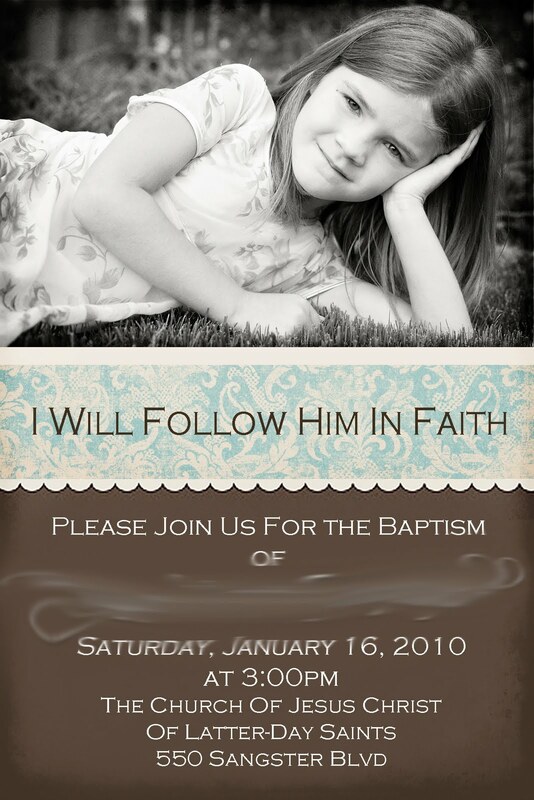 My B get's baptized on her birthday which is the 16th of this month as well! Your invites turned out sooooo much better then mine I love them!! I went so simple. I need to digital scrap more. Maybe I'll come up with something more visually pleasing next time. 🙂 I still have 2 kids to practice on so I better get busy! Ps. I fixed that problem with her invite wasn't on 300 dpi… Such a simple fix that I was totally missing, so THANK YOU! I can't believe she's 8! Great decision she's making and her mama sure sounds proud ;> Can't wait for pics. Love the invites. Hope both days are great! A very special birthday indee. 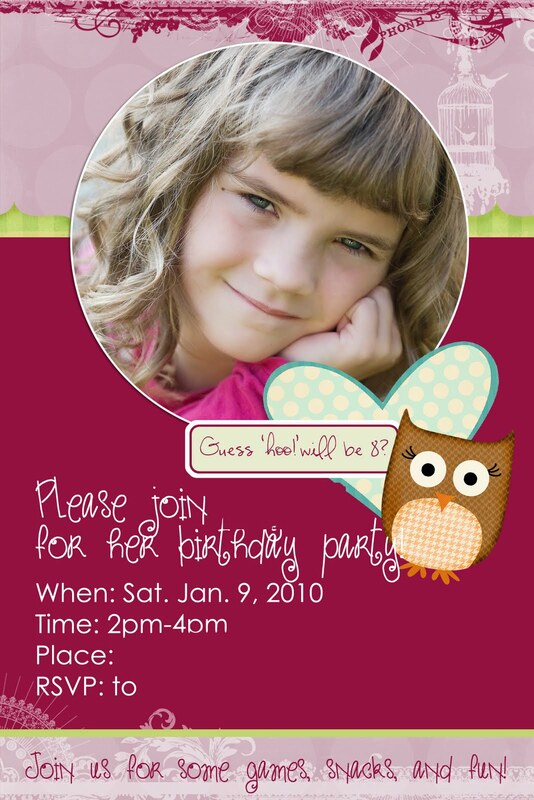 THnak you for sharing the photos of your beautiful daughter and thw awesome invitations that you made. She is so beautiful! How exciting for all of you, it sounds like it went well!